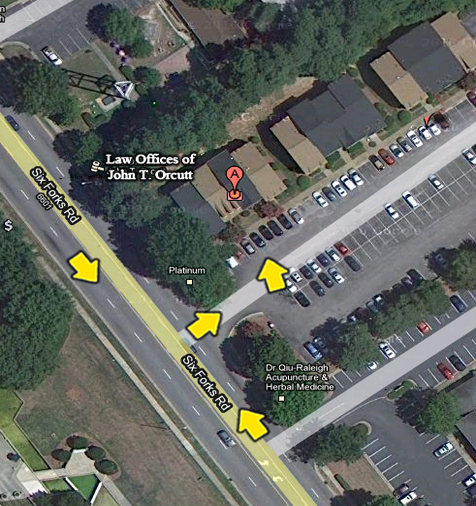 The law offices of John T. Orcutt in Raleigh, is located off of Six Forks Road just between Westbrook St. and Lynn Road. If you have debt then we are here to help. Many people have the false idea that bankruptcy is bad and can negatively affect you for years to come. This simply is not true. The U.S. Bankruptcy Law was designed to help good people find relief from the burdens of debt. We are located in North Raleigh on Six Forks Rd. Click the interactive map below to get easy directions to our office.